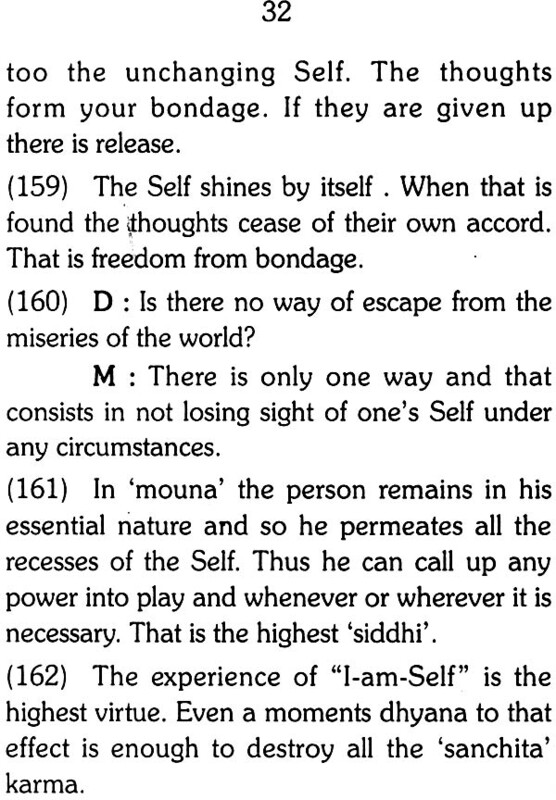 The Self is the basis of the entire universe and shines ever independent of it. It is impossible to comprehend the nature of the Self with the mind as it is the very basis of the mind. It is impossible to describe the Self in words as language is a function of the relative realm and the Self is absolute. That is to say, words can only describe something in relation to another. All words come in pairs of opposites. Hence it is impossible to describe in words that which has no opposite, which includes and transcends all opposites. For instance, when we say that the Self is ‘knowledge’ it is not that knowledge which permits ignorance in any form or at any point of time. Normally, knowledge is that which arises after a period of ignorance and hence erases that ignorance. It is equally possible that what is known at a particular point of time may again become unknown if it is forgotten due to some reason. 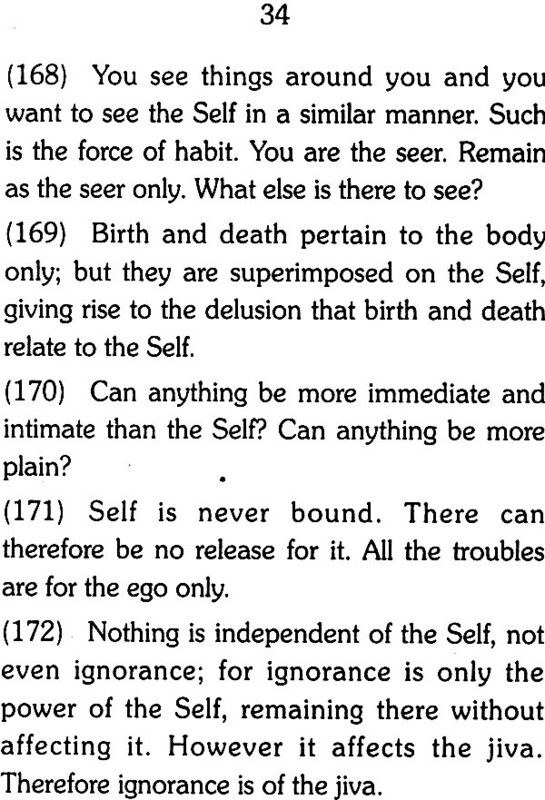 However, the Self is that knowledge which, being itself ever Self-aware, not only does not arise at any point of time but also makes both knowledge and ignorance known. It shines as that knowledge which makes both memory and forgetfulness known. 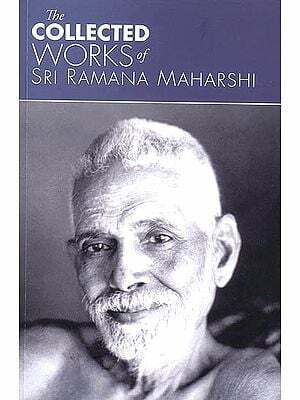 Therefore, trying to describe the Self in words is seen to be an impossibility as Bhagavan Ramana has indicated in his poetic works. The Self is that which defies description because it transcends all limitations and every description is inevitably by very nature a limitation. To describe or define is to confine what is described or defined to the boundaries of that description. When we say that the sun is light, this means that the sun cannot be darkness. When we say that leaves are green, this implies that leaves cannot be blue or colourless. How can we describe the Self which is everything and nothing at the same time and has no limitation of any kind? Why do we at all thus speak of our inability to describe the Self unless for some reason we feel the need to do so? Our need arises because unless the glory of the Self is described to us, we may waste away lifetimes without paying any attention to it. If we are born in a dark underground cave we may never value light until we catch a glimpse of a ray. If we have lived in an air-conditioned box all our lives we may never long for the magic of fresh air until a whiff of it creeps in somehow. If we have never known anything other than captivity we may fail to ever seek the magnificence of freedom. If we do not hear of the Self, we may remain content to believe that we are the petty, passing, physical or mental entities that we have taken ourselves to be. Hence, the Sad guru as an act of greatest compassion takes on the apparent boundary of a body in order to point out to us the nature of the Self through his very life as well as through his loving words of upadesa. Though we cannot fathom the depth of the ocean nor drink its water, the sun transforms the ocean’s water into clouds that carry the same water to us and hence make life itself possible. Even so, despite the problem that we face of not being able to describe the Self, or perhaps because of this problem, the Self in great compassion reveals Itself as it were in the life and words of the Sadguru. 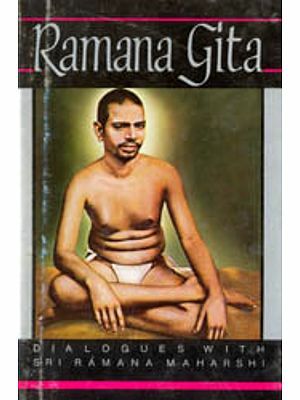 As the cloud is the condensed form of the ocean, Ramana is the very embodiment of the Self, his life and words are pure expressions of the Self itself, coming to us as the rain of grace and filling us with the essence which it is otherwise impossible for us to intuit. 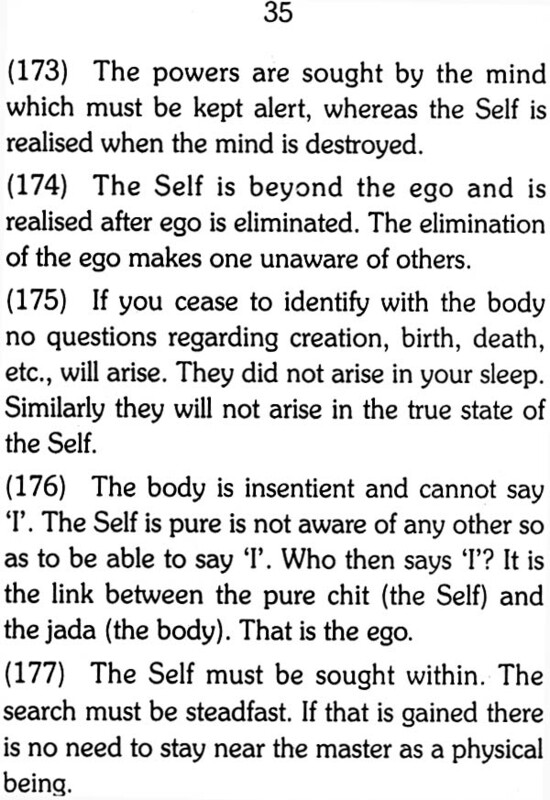 Bhagavan himself has blessed his words by stating that ‘when one meditates on the words constantly, at a point of time the words will fall off like the skin of a snake and the essence will remain. 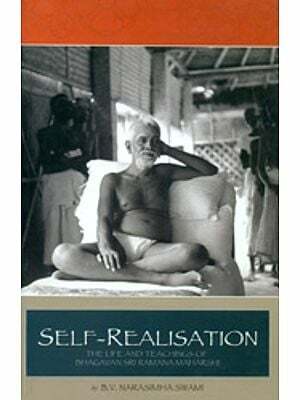 Ramana Maharshi Centre for Learning is deeply thankful to Sanjay Lohia for making a selection of Bhagavan Ramana’s answers on the Self and aptly entitling the selection ‘Self on Self’. As there are 365 selections, it would be give us one quote for meditation each day of the year. 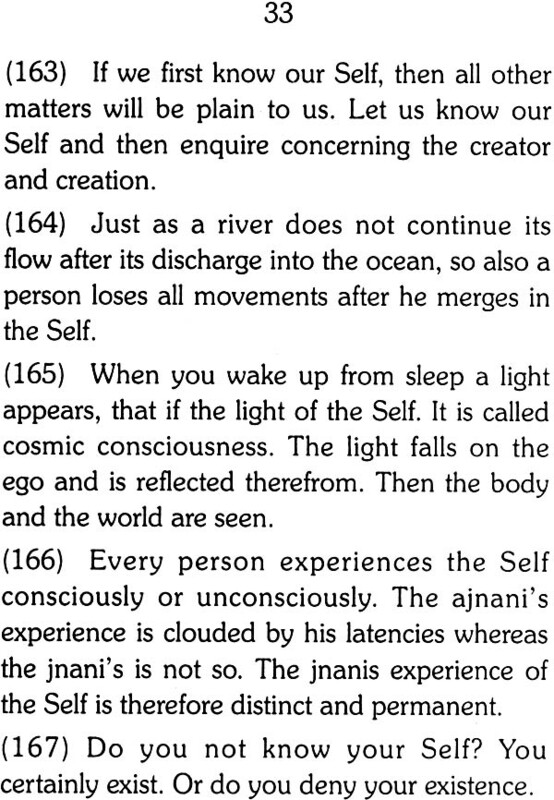 By the grace of Ramana, Sanjay himself meditates on each quote before he shares it with others. 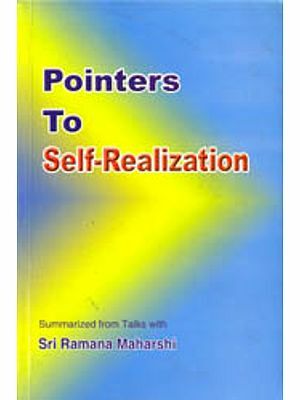 This is a very special addition to his series of books compiling Bhagavan Ramana’s answers. The Centre is also very thankful to Sri Muralidhara Hegde of Image Works for designing the cover page in record time. Our gratitude to Sri Pandurangan of Aridra Printers for doing an efficient and express job of the printing to make it possible for the book to be released on Founder’s Day - 23rd of January, 2012.